One of the highlights of Straits Chinese cuisine is the wide selection of little bite-size steamed sweetcakes known as “kueh“, and like many other signature dishes in peranakan cooking, many of these kuehs are heavily “borrowed” from the culinary heritage of other ethnicities within the region, nyonya kueh is no exception. 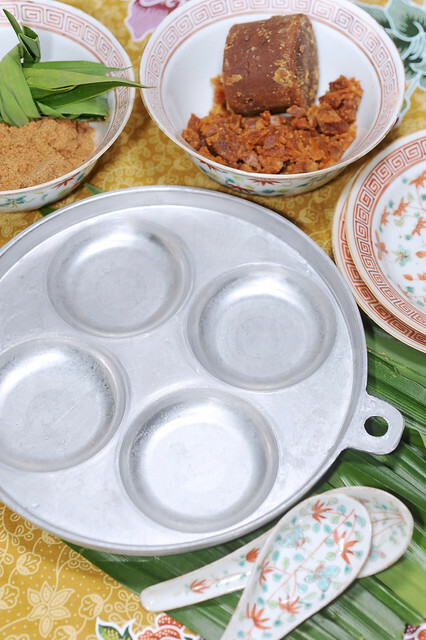 While Kueh Angku is uniquely chinese, others like rempah udang, pulut inti and seri muka have distinct roots in Malay and Indonesian cuisine. Some of them, like pineapple tarts have become fully adapted and so immensely popular as a nyonya delight that one would have easily forgotten their true origins. 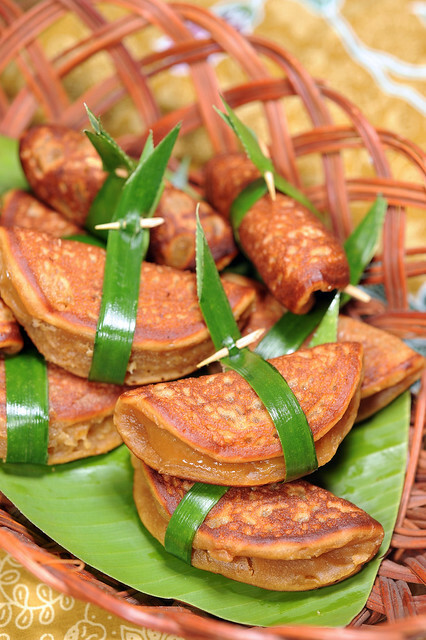 Apom balik is a popular snack in many Asian cultures. And it comes in so many forms, shapes and sizes. Malays make a crispy and paperthin version no more than 6 inches wide, filled with shredded coconut cooked in gula merah, or chopped peanuts with granulated sugar. Chinese folks call them 面浆粿 ban chiang kueh or min chiang kueh depending on the dialectal origins, and make them lebih besar, using pans sometimes as wide as 2 feet in diameter! 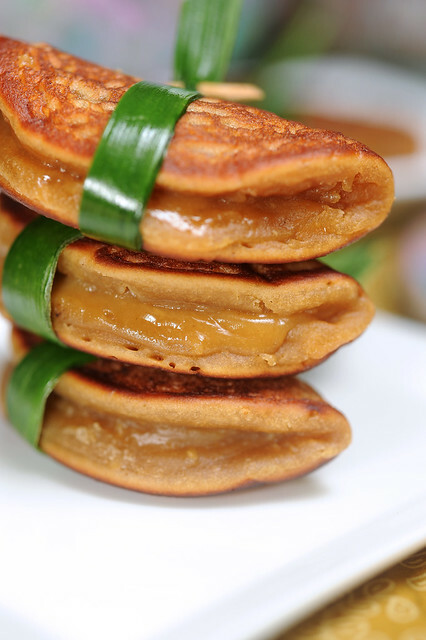 The folded pancake can be filled with a paste with chunky peanut butter-like consistency, or another chinese favorite, red bean paste. In recent years, we also see a version containing cheese! Whichever the version might be, I enjoy them all, especially for breakfast, to go with a warm glass of soya bean milk or teh tarik! But the version that remains close to my heart is nyonya apom balik, something which I’d enjoyed very infrequently as a childhood treat. It is the one traditional kueh which was most neglected, but not entirely forgotten as I still crave for them til today. This month’s Malaysia Food Festival organised by Wendy of Table for 2 or More provided the perfect opportunity to rediscover for myself this kueh which had been long forgotten. Unlike some of the other peranakan dishes which I’d learnt to prepare over the years, I don’t have a working recipe for Nyonya Apom Balik. Alas all is not lost, as there’s always Bibik Florence Tan’s reliable recipes to fall back on when all fails. And true enough, she has a recipe for Nyonya Apom Balik in her book! In a heavy saucepan/pot, add water, gula melak and knotted pandan leaves. Bring to a boil and then gently simmer with lid on until all the gula melaka has completely melted. Strain into a bowl and set aside to cool down. Once the gula melaka has cooled down to room temperature, pour it into dry ingredients mixing bowl and mix thoroughly. 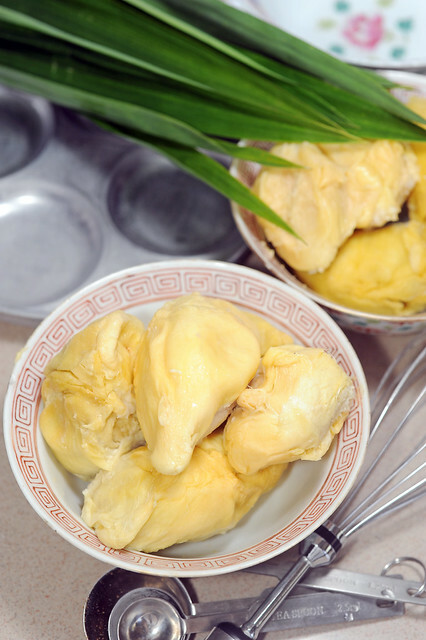 Prepare the apom balik mould by first heating it under hot. Reduce flame until very low and grease the cavities thoroughly. Pour batter to fill three-quarters of the cavities on the mould. When bubbles began to form on the surface, cover the whole mould with a lid. When the batter on the surface begins to dry out, carefully use a toothpick to dislodge the kueh from the perimeters. While propping up an edge of the pancake with the toothpick, carefully fold it into half with the back of a fork. I’d made several modifications to Bibik Florence’s original recipe. Firstly, her recipe called for Air Kelapa (coconut juice), but I simply used water as a replacement. Also, on top of gula melaka, her recipe also includes demerara. I found that to be an overkill and omit it completely. And I’m glad I did! Cos the final product is already quite sweet as it is. Instead of freshly squeezed coconut milk, I’d used Cara tetrapak thick coconut milk and thus increased the amount of water from the initial 1 2/3 cups to 2 cups. Thankfully, the batter turned out to be of manageable consistency, neither too watery nor was it too thick. The batter is fairly straightforward to prepare but I think the key to making good apom balik is really to have good control over the heat, allowing the top surface to be sufficiently cooked and dry for the pancakes to be “balik” easily without oozing too much batter, while ensuring that the base does not brown too much to the extent of burning. Judging from the photos of this very first batch of Apom Balik Nyonya which I’d ever made, this is definitely a skill which I’d yet, and in dire need to master, requiring both time and patience. 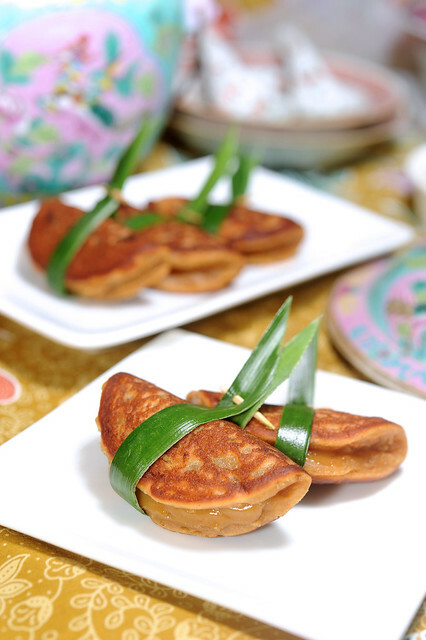 Nyonya Apom Balik are traditionally made with brass moulds, which are better thermal conductors than aluminium ones. Alas brass ones are rarely seen nowadays, largely vintage or even antique ware. I am submitting this to Malaysian Food Fest, Melaka Month hosted by Cindy of Yummy Little Cooks. This entry was posted on August 13, 2012 by Alan (travellingfoodies). 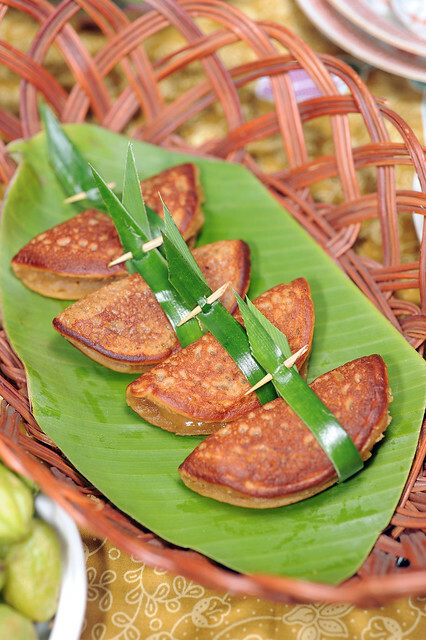 It was filed under Food, Simple Eats and was tagged with apam balik, apom balik, coconut milk, durian, gula melaka, kueh, kuih, Malaysian Food Fest, Nonya, Nyonya, on the trail of the phoenix, pancake, Peranakan, santan, straits chinese. Would you be interested in purchasing it for $99 ?